An archaeological expedition funded by the prestigious Miskatonic University has disappeared in the frozen areas of Alaska. A team of intrepid investigators from Arkham must now brave the strange storms and unimaginable horrors to find it, before facing the darkness that its members have awakened. 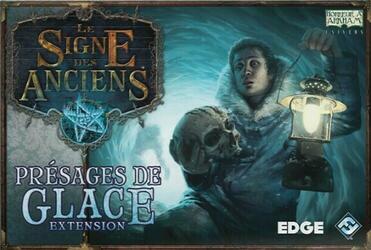 The Ice Presents expansion offers a new adventure that takes place in the cold and mysterious wilderness of Alaska. As fierce snowstorms hit the world, investigators must use all the resources at their disposal to find the source of these disturbances in the northern confines and push it back for another millennium. They will have to face new and terrifying Great Elders, monsters and Myth cards that will hurt the most seasoned of them. Players will also discover new allies, spells and items to use when venturing into any location.